NEET 2018 admit card release is delayed by the Central Board of Secondary Education. Exam to be conducted on 6 May 2018. 16 April 2018: The Central Board of Secondary Education (CBSE) has delayed the release of NEET 2018 admit card. As per the information mentioned in the official NEET brochure, the admit cards for the medical entrance examination were scheduled to release in the second week of April 2018. However, there is no announcement related to admit card release on the board’s official website yet. Candidates are advised to keep an eye on the official website for availability of admit card. The NEET 2018 exam is scheduled to be conducted on 6 May 2018 (Sunday). Go to the official website; https://cbseneet.nic.in/. 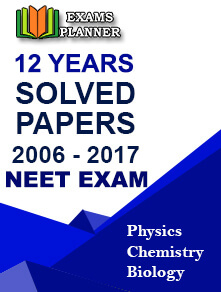 Click on the link for NEET 2018 admit card. You will be re-directed to candidates’ login page. Enter your log-in details to download the admit card. Admit cards are mandatory to make an entry to the examination hall. So, don’t forget to carry them on the day of examination. Affix a passport size photograph on the admit card and carry one more photograph (passport size) to the examination centre (to be affixed on the attendance sheet). Admit cards will not be sent by post to any candidate. When candidate downloads the admit card, a copy (pdf format) will be emailed to his/her registered email id. Complete address of the examination venue will be mentioned on the admit card. If you are unfamiliar with the venue, it is better to visit there a day before the exam to avoid any delay on the exam day.